While exploring a sector of uncharted space, the U.S.S. Voyager is ambushed -- and forcibly pressed into service as part of the Edesian Fleet in their war against the enemy Gimlon. The Edesian commander claims that the Fleet is fighting only to defend his people against a merciless invader, but Captain Janeway is suspicious. War, she has learned, is seldom so simple or black and white. 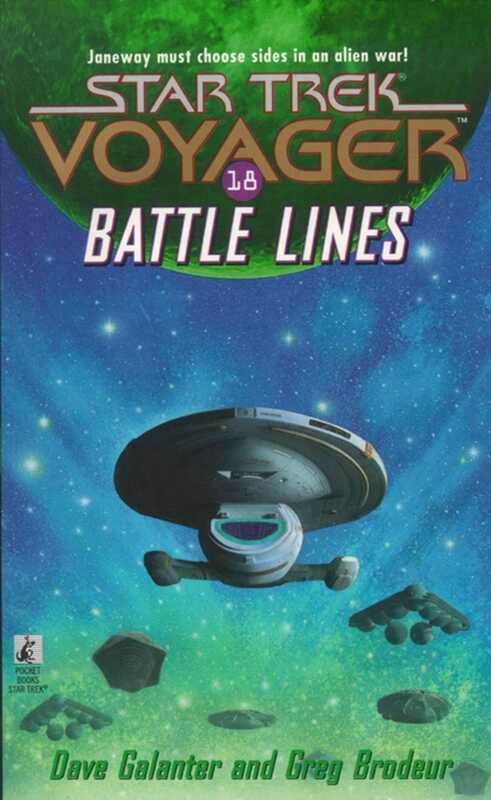 With Chakotay and several other crew members held hostage, and the Starship Voyager under the control of the Edesians, Janeway has no choice but to join the campaign against the Gimlon, only to discover that the enemy has developed a new super-weapon capable of destroying entire worlds. Soon the Captain and her crew find themselves fighting a losing battle in a war they never wanted!